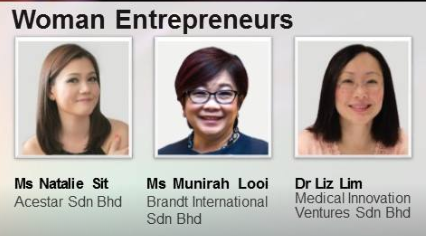 We're proud to announce that President of PWN Kuala Lumpur, Munirah Looi, has been included in the EY (Malaysia) Entrepreneur of the Year 2018 Top Nominees Announcement. Munirah takes her place with two others in the category of Women Entrepreneurs, and was honnoured to receive this accolade from YB Datuk Seri Mohd Redzuan Mohd Yusof, Minister of Entrepreneurial Development in Malaysia as part of this wonderful global initiative. 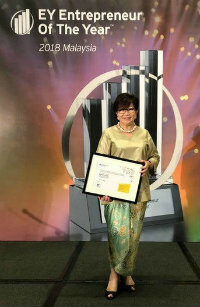 You can read more about the evening on EY's official Entrepreneur of the Year Facebook page. This year, the EY Entrepreneur Of The YearTM (EOY) programme is celebrating its 32nd anniversary since it was founded in Milwaukee in 1986. Today, the EOY Programme has expanded to more than 145 cities and 60 countries with awards presented annually to over 900 of the world’s most successful and innovative entrepreneurs. Each year, the overall country winner from each country gathers in Monte Carlo for the annual EY World Entrepreneur Of The Year (WEOY) award. View the list of countries that participate in the WEOY programme and their respective global EOY contacts. EY Entrepreneur Of The Year™ is the world’s most prestigious business awards program for entrepreneurs. The program makes a difference through the way it encourages entrepreneurial activity among those with potential and recognizes the contribution of people who inspire others with their vision, leadership and achievement. As the first and only truly global awards program of its kind, Entrepreneur Of The Year celebrates those who are building and leading successful, growing and dynamic businesses, recognizing them through regional, national and global awards programs.